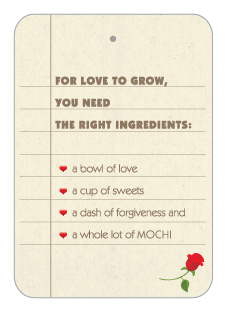 Our dear friend from MochaMochi is creating a new flavor just in time for Valentine's day: chocolate! 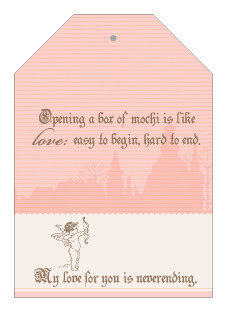 We can't wait to try them as we love their regular framboise and pandan flavors. She asked us to created these fun mochi inspired valentine's tags with custom quotes and taglines to complement her special Valentine's edition mochi. 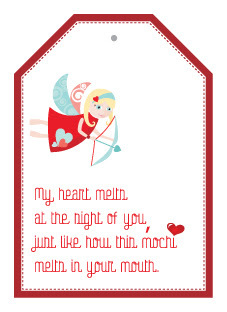 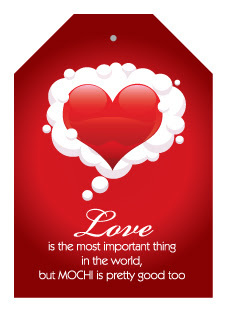 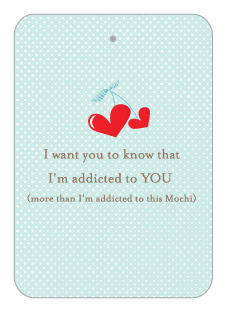 There are 5 collectable designs, so order your valentine mochi today for your loved ones!